Interns painting for Free Arts NYC. Photo by Essence Dashtaray. Interns after packaging meals for Rise Against Hunger. Photo by Essence Dashtaray. The White Box event space at Viacom’s Times Square headquarters was getting loud and rowdy in the late afternoon on Tuesday, July 16 as 95 interns from three New York City offices sang along to music, socialized and volunteered to help others in need. Meanwhile, similar events ramped up at the Los Angeles and Nashville offices, as approximately 160 interns in all three cities got to work for two incredible non-profit organizations, Rise Against Hunger and Free Arts NYC. The coordinated cross-country sessions were part of Viacom’s first-ever Intern Viacommunity Day, a scaled-down version of Viacom’s annual global Viacommunity Day, which places thousands of volunteers to help out in local communities, typically in the spring. The collaboration between the Viacommunity corporate social responsibility team and the Campus to Career program grants summer interns a chance to participate in an equally impactful event. On one side of the large New York City room, interns created an assembly line to package food for disaster relief. They cheered each time the massive gong sounded, indicating that they had boxed 1,000 more meals. 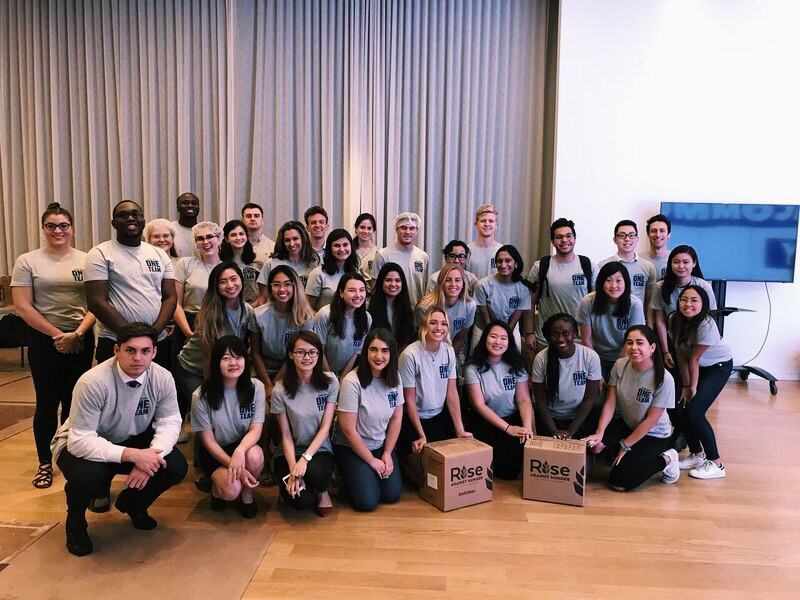 Overall, our Burbank and New York interns prepared more than 20,000 pre-packaged meals for Rise Against Hunger, which will send them out to feed the most vulnerable among us. Elsewhere, interns painted bags with designs ranging from SpongeBob characters to inspirational quotes and images. 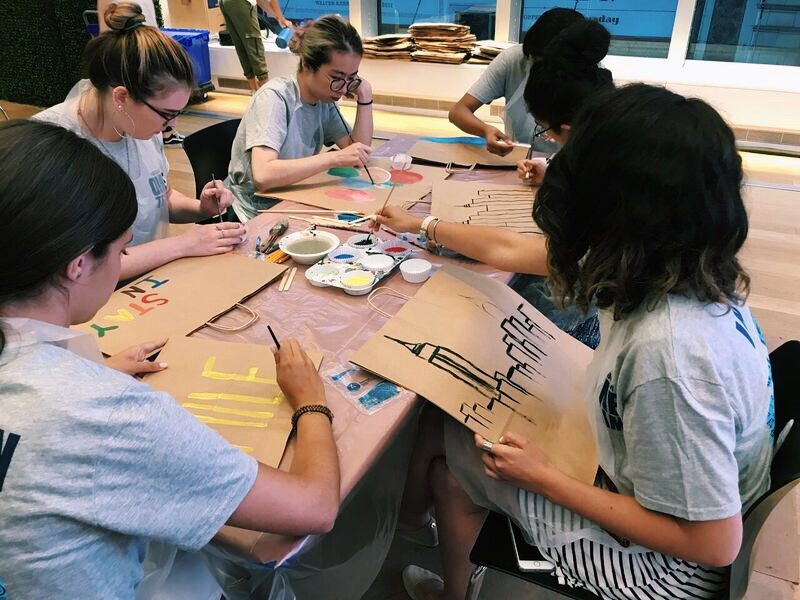 The teams in New York and Nashville decorated more than 100 bags that Free Arts NYC – which seeks to empower underserved youth through art and mentoring programs –will disperse to children in their programs. The Viacommunity Day for interns grew from a collaborative effort between Viacommunity and Viacom’s Campus to Careers department, one of many such partnerships designed to ensure that everyone with a passion for philanthropy or volunteerism has the opportunity to give back. Campus to Careers also incorporates programs such as Bob Live (in which Viacom CEO Bob Bakish addresses the company and takes questions from employees), The Scoop (updates on Campus to Career events and programs), intern special focus groups, networking circles, exclusive speaker sessions and more opportunities for interns to educate themselves, experience the company’s unique and authentic culture, and grow as future leaders and workers. Intern Viacommunity Day was a tremendous success and impacted hundreds of families and children in need. It demonstrated Viacom’s core values and dedication towards social responsibility efforts, while illustrating the upbeat, positive culture that employees and interns experience every day. Not surprisingly, enthusiasm among participants ran high at transforming Intern Viacommunity Day into an annual initiative. Viacommunity is the global umbrella covering all of Viacom’s social impact and purpose-driven initiatives. By leveraging Viacom’s culture of creativity, Viacommunity offers programs that empower, engage and inspire our employees, audiences and company to make a difference in the global communities we serve. Learn more about Viacommunity here.